A classic cavity back design, the Launcher CBX irons utilize Cup Face technology to increase ball speed, while their cavity design features perimeter weighting that helps protect ball speed on off-center strikes. Additionally, progressive shaping through the set optimizes performance with each club, as low-profile longer irons with thicker toplines promote distance and higher launch conditions while more compact short irons with thinner toplines encourage control on scoring shots. WhataTMs most unique about the Launcher CBX irons, however, is that Cleveland has utilized some of its most popular and successful wedge technology in the design to promote enhanced control. Of particular note, Tour Zip Grooves and Laser Milling combine to provide improved distance control from all lie conditions, while Feel Balancing Technology helps move the CG closer to the center of the clubface for tighter shot dispersion and improved impact sound and feel. 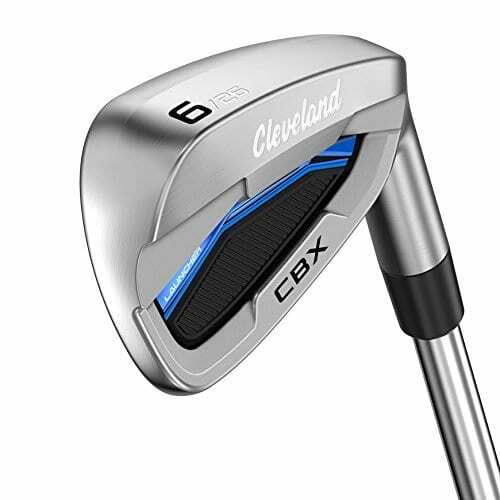 And finally, the Dual V-sole design of the Launcher CBX irons gives players forgiveness, versatility, and exceptional turf interaction.